You’d think that Florida would have plenty of roaches. However, the many, many native roaches of Florida weren’t what Derek Alan Rader wanted, so he went online and placed an order. As it turns out, the roaches Rader wanted required paperwork, so he did a little (or a lot) of forging and bought his roaches anyway, and that’s where the law comes in. Derek Alan Rader was arrested by Florida police after he forged paperwork and ordered 500 cockroaches online. 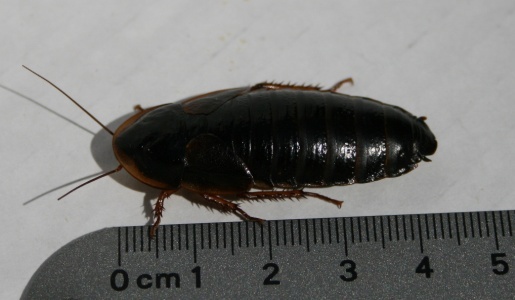 These aren’t just any cockroaches, these are Guyana Orange Spotted Cockroaches or Blaptica dubia, a species common in Central and South America. Guyana Orange Spotted Cockroaches are prized as reptile food due to their high protein content and soft shells. However, the Guyana Orange are also considered an invasive species and are illegal in the state of Florida.